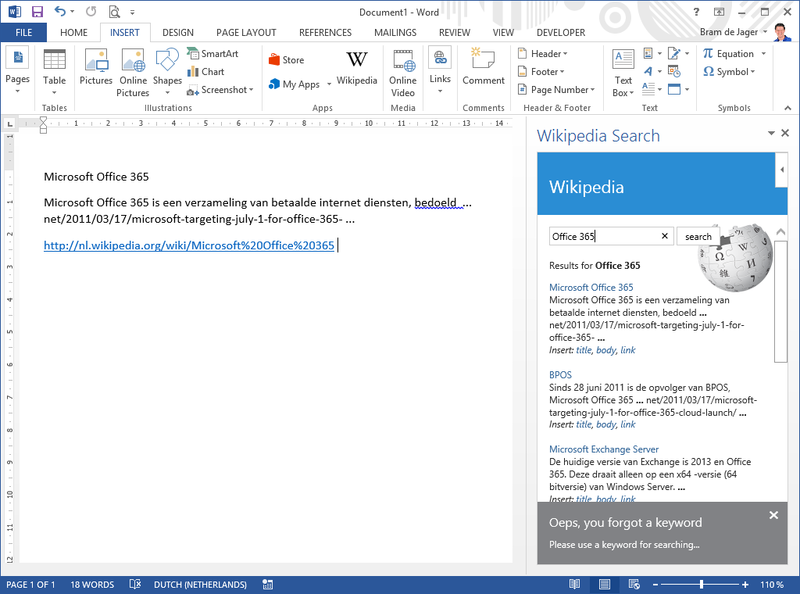 On April 1st and 2nd in Haarlem (The Netherlands) the first European Office 365 Connect took place. Speakers from over the world (like Dan Holme, Seb Matthews, Marc Reguera and many more) visited Haarlem and did sessions related to Office 365. I’ve done a session about Apps for Office together with Visual Studio 2013. This was a kind of follow-up session for “The New SharePoint Online Apps – Napa in Action” from Patrick Lamber. You can find my slide deck below. The demo was around building a Wikipedia Task Pane app which leverages the Wikipedia API for searching Wikipedia. 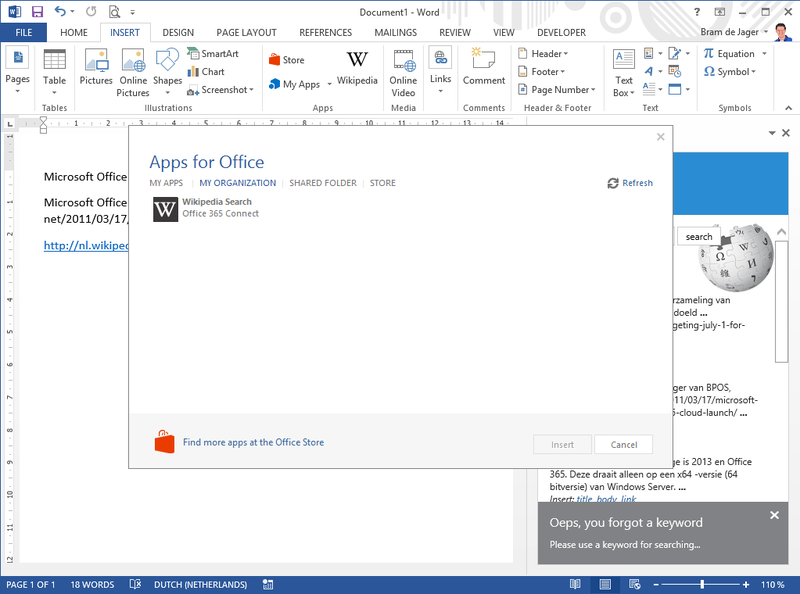 Below a screenshot of the Task Pane App for Office inside the Word 2013 (desktop) client. Once the app was done it’s deployed to Windows Azure via a Web Deploy package and the XML manifest is made available to end-users to consume from the Corporate Catalog (hosted in SharePoint Online). After configuring the Office client the Corporate Catalog is available from within Word, Excel, PowerPoint.